Purr is a secret mixture of herb extracts commonly found in homeopathy. Whilst Purr contains no catnip, some of the extracts come from related plants and work in much the same way. Catnip, and it's relatives are all a part of the mint family. Native to the UK and northern Europe, catnip can now be found growing wild in many other areas, to which it has been imported over the years. The reaction to Catnip usually lasts about 5 minutes or less, with a 'cool off' period of about 2 hours, before they return and have the same reaction again. We have found that the reaction to Purr tends to last significantly longer in many cats, sometimes as long as half an hour, with a cool off period of about the same length of time as catnip. No-one is exactly sure why it works, but one popular theory is that the chemical nepetalactone is responsible, being found in both Catnip and female cat pheromones - although still no explanation is given as to why female cats seem to enjoy Catnip just as much as male cats. 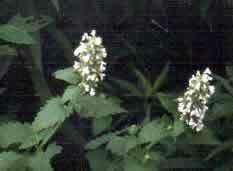 Catnip family plants are completely non-toxic, non-addictive and have no side-effects. Extensive research in the field has found no negative aspects to any of the Catnip family of plants and has even noted many medicinal uses for humans and animals alike.